​Seattle has put together a great stretch as of late, pulling right back into the Wild Card race. Their impressive play has been complemented by their incredible rookie phenom closer, who flaunted his reliability over the entirety of July. On Wednesday, Edwin Diaz was honored as the American League Reliever of the Month, alongside Padres pitcher Brad Hand, who won the honor for the National League. ​​Diaz picked up eight saves and 21 strikeouts over the month. 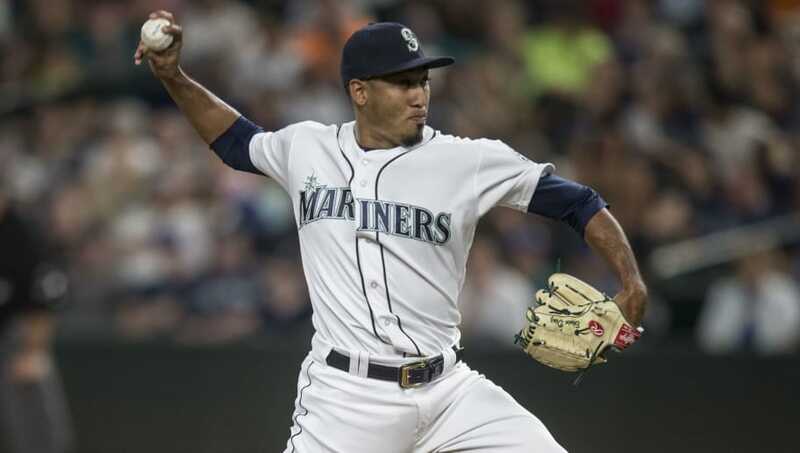 On July 14-17, Diaz also became the first reliever in Mariner history to record saves in four consecutive games. In addition to Diaz, his teammate, starting pitcher James Paxton, was named as the American League Pitcher of the Month. Paxton also put together a historic month of July, going flawless with a 6-0 record and a 1.37 ERA. Big Maple indeed! James Paxton goes 6-0 with 1.37 ERA, 46 Ks and 8 BB in 39 1/3 innings in July. FIrst Mariners pitcher ever to win six games in a month. ​While Seattle may not catch the Astros in the American League West race, the stellar play of their two marquee pitchers could help the ball club earn a Wild Card spot without a doubt.